Group B was truly an incredible and wonderful oddity. It gave us some of the most successful and influential competition cars ever made. When Group B found itself banned, a very particular sense of visceral excitement got banned from the WRC along with it. But group B didn’t just fuel the creation of fire breathing, gravel eating, pavement shredding monsters…it also left us with some pretty damn good road cars. The homologation specials have always been a very particular kind of rides, often strange but always appealing. Today we’re taking a look at 3 homologation specials made specifically for eligibility to Group B rallying; 3 French manufacturers with 3 different approaches, leading to 3 very unique cars. The 205 was always an immensely popular car, and it’s not hard to understand why. There were a lot of engine options and all sorts of configurations for the little thing. From the most basic diesel to the sporty GTi, there was a 205 for everyone. And they would hold up fairly well, sticking around for years and years. When Peugeot decided it was gonna take the 205 rallying in the infamous Group B savageness, the company new that the practical city hatchback needed a whole lot of changes. But that wasn’t the hard part since Peugeot was no stranger to rallying, dominating WRC events in Africa throughout the mid and late 70’s. The challenge was homologation. 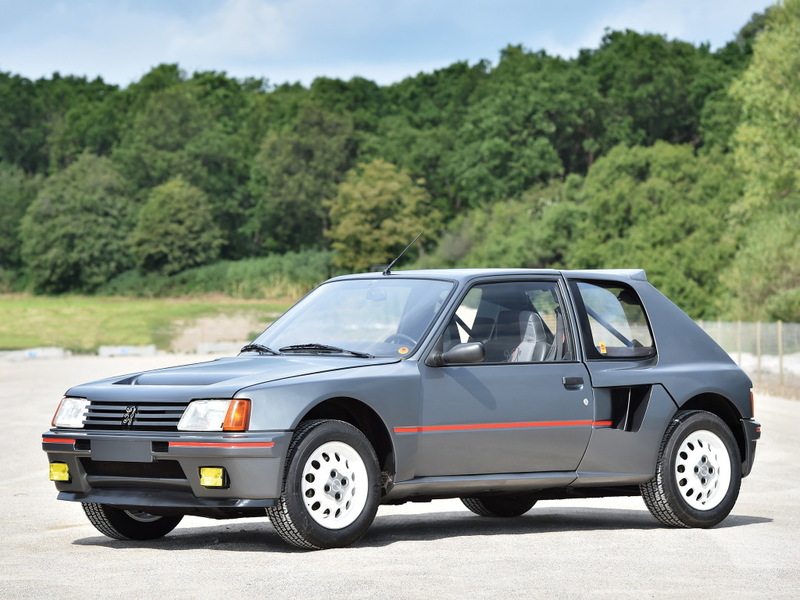 For that, Peugeot needed to come up with 200 road going versions of its ferocious creation: the 205 T16 (T as in Garrett turbo charged; 16 as in 16 valves per cylinder). On the outside, the T16 would start life as a regular 205 body, but soon it would turn into something very, very different. The shells were shipped off from the Peugeot production line to Heuliez. 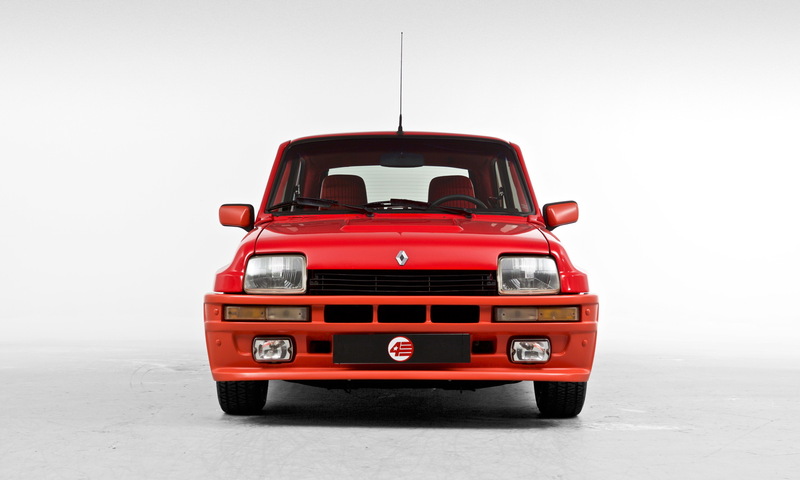 The well known coachbuilder would then give the 205 a whole new mean and muscular look, set up on a lightweight tubular steel frame with flared arches and scoops and vents-galore. In fact, Heuliez threw so much of the 205 original body away as they were making their changes that by the end of the process, only the doors, roof, windscreen and headlights remained. However, for marketing purposes of course, they made sure the car was still unmistakably a 205. The rear portion of the T16 became a clamshell design in order to keep the engine easily accessible for repairs and maintenance. And what an interesting engine it was. The T16 started off humbly with the cast iron block of the 4 cylinder diesel, but everything after that had much more in common with the rally car than with the production version. The 1.8 was set up transversely in a mid-engine configuration – for better weight distribution and handling – and powering all 4 wheels. The gearbox was mounted behind the engine, also in an effort to improve weight distribution and to help give the T16 a low centre of gravity. The road going, homologation special 205 T16 had just under 200hp, less than half the power of the Evo 1 rally car, but it was by no means a slow ride. 0 to 60 in roughly 6 seconds and a top speed of around 130mph was not bad, especially when you remember that sports cars of the period with much bigger engines were doing way worse. 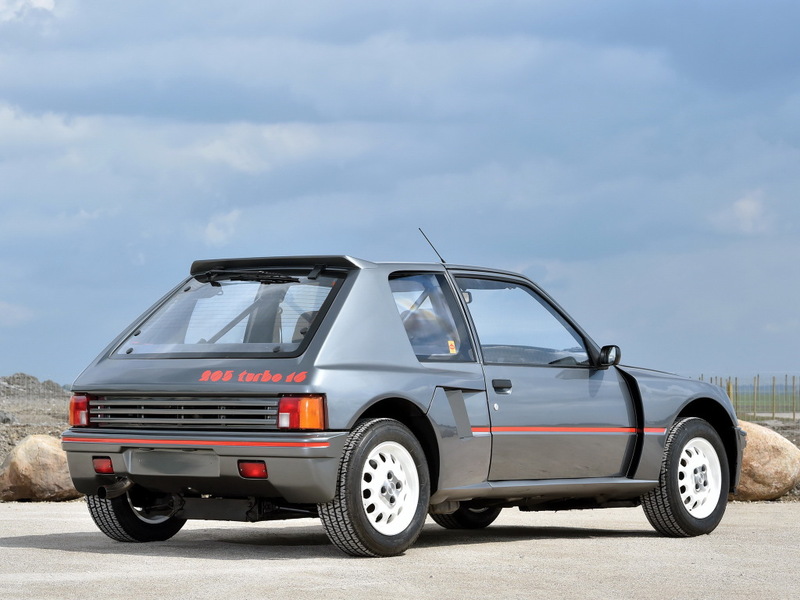 A few – reportedly, 30 or less – road going T16s were fitted with the “Clubman Peugeot Talbot” Sport package which bumped up horsepower to 300 and offered the buyer five point harnesses and an aluminum roll cage, just in case things got a bit more upside down-y than expected. The interiors although not completely Spartan, didn’t exactly carry any bells and whistles. 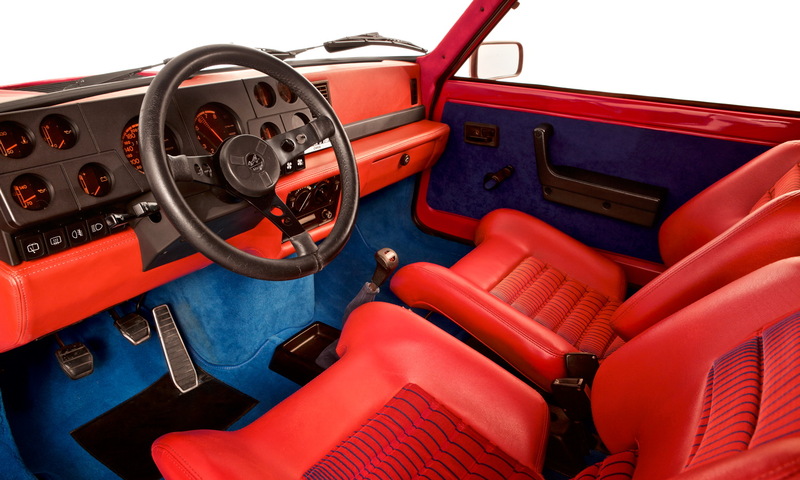 The cool, thin steering wheel had “Turbo 16” lettering in the center and the seats were two tone (gray and grayer) leather and alcantara with a big Peugeot lion logo in the middle…that’s pretty much it. Two seats, a wheel and some gauges is all you’d get with one of these. And that’s plenty, really. You could get the T16 in any color you wanted as long as it was gray. In order to speed up production, all T16s were the same: same color, same set up (LHD). This helped Talbot crank them out as fast as possible, keeping production uniform and cost effective. 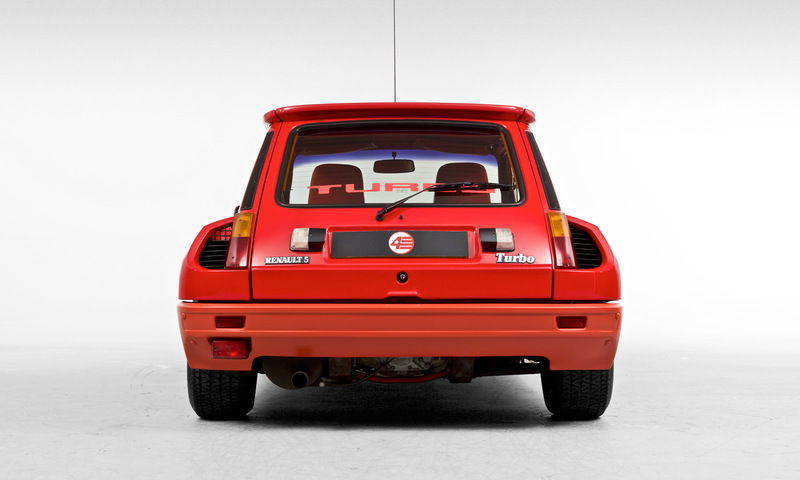 The 205 T16 is a very strong contender for coolest hatchback ever made. Its history in competition is exemplary, beating the legendary Quattro in both rally wins and titles. Even after group B, the T16 went on to have a very interesting life both in the Paris Dakar and the Pikes Peak Hill climb. In fact, it was so good that the 405 T16 which followed wasn’t really a 405 at all, but basically a dressed up 205 T16. The T16 was so good that it even worked for other manufacturers; when GM needed to develop active suspension for the Corvette, it went to Lotus for help and Lotus, in turn, picked up the best thing it could think of to be a development mule: a T16. 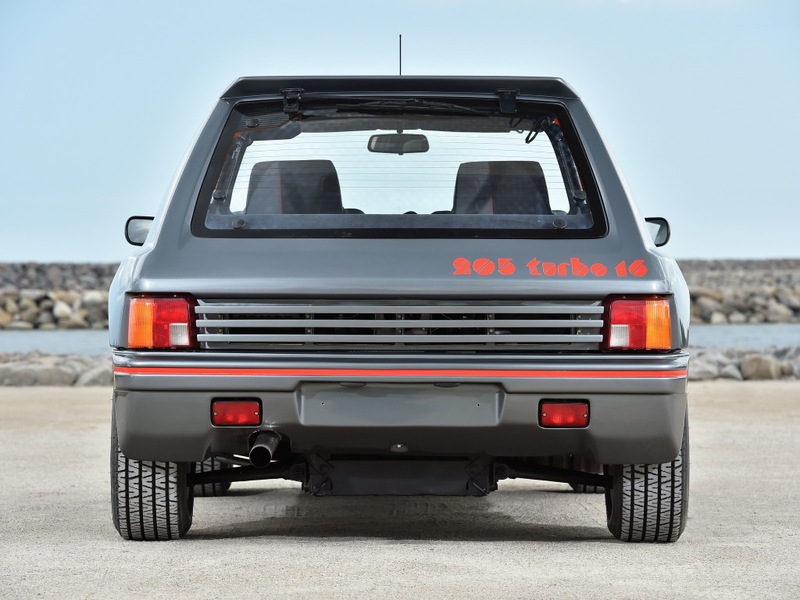 The homologation special 205 T16 is the epitome of the cool “hot hatch”, a car for the true enthusiast, the connoisseur whom appreciates not only the outrageous styling and impeccable heritage, but also the irreplicable charisma of the thing. However, this charm will cost you. Today, 205 T16 values usually start at around 200.000 Euros, going up to (asking) prices of 250.000, supercar territory. 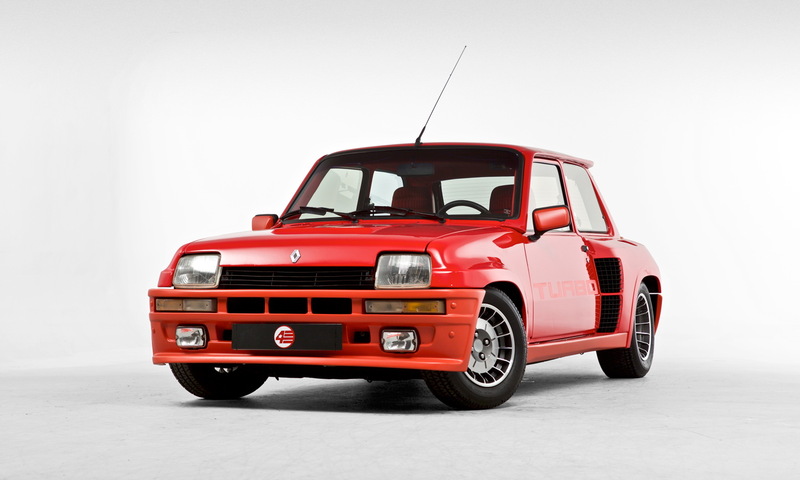 The most prolific of the French Group B homologation specials, the Renault 5 Turbo is a truly beloved piece of machinery. In its most basic specs, the R5 is as much a car of the people as the 205. It was made by the millions in 2 generations spanning almost 25 years, establishing itself as one of the great successes of the French automotive industry. It was one of the trendsetters of the sporty hatchback scene, even beating the Golf GTi to production. When it came time to break into Group B, Renault knew the friendly looking little R5 needed some spice in its mix. 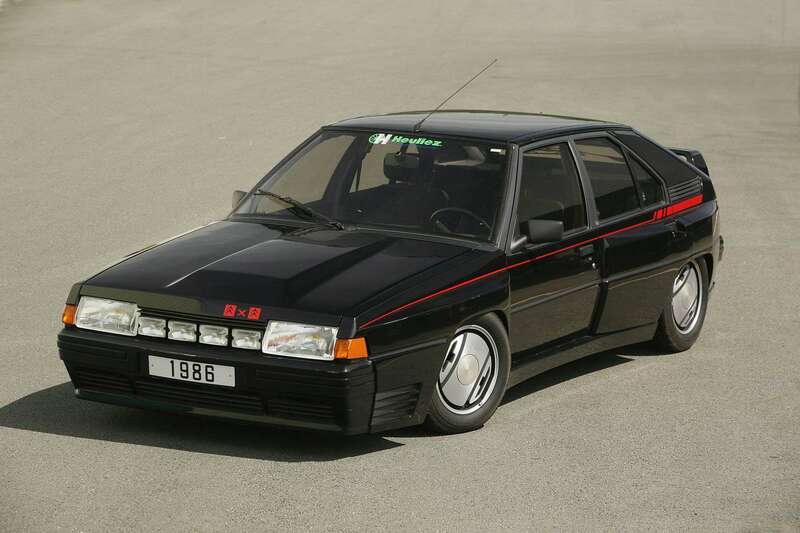 Starting with the already pretty cool R5 Alpine, Renault put Bertone on the case and there, with input from Gandini himself, the R5 became the wide, radical looking version of itself we all know and love. The 1.4L engine was the same as in the Alpine version, becoming turbocharged (Garrett) and producing 162bhp instead of the previous 93. The R5 was put on a diet and many elements were replaced with lightweight alloy versions, bringing the weight down to well below 1000kg. The engine was moved to the middle and, since Audi hadn’t made its revolutionary 4WD move yet, the power of the R5 Turbo still went to the back wheels. But even as a RWD, due to its small size and good weight distribution, the R5 Turbo was very fast, extremely nimble and as such, on the course it was also pretty damn competitive. 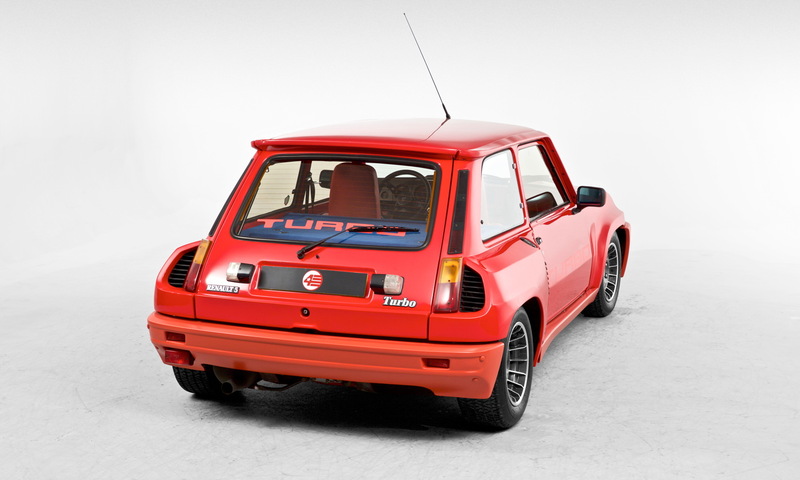 The rallying version of the R5 Turbo achieved 4 victories on the WRC stage, one of which the coveted Monte Carlo Rally. The R5 Turbo is just the most charming and joy inducing car. It is impossible to look at it without cracking a smile. If you’d like some R5 magic in your life, you’re in luck because prices aren’t as crazy as they are with other homologation specials. The Turbo 1 isn’t what you’d call cheap, but the Turbo 2 – we dare you to tell them apart without looking at the door and rear hatch scripts – is tantalizingly affordable for the mid level collector/enthusiast with prices often below the 75.000€ mark. While Peugeot and Renault shined in Group B, Citroen’s history with the class is very different. 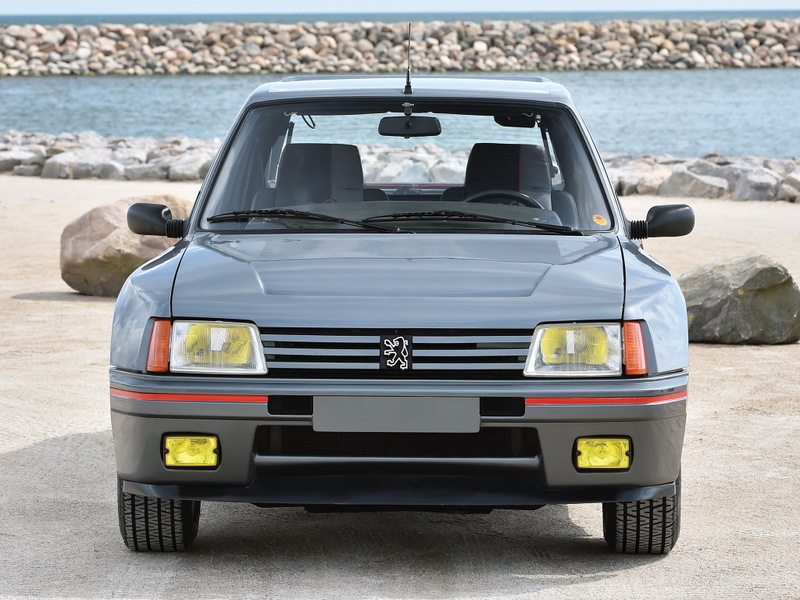 The company came up with something which is arguably one of the coolest cars, most unique to ever come out of France but which was, in Citroen’s eyes, an unmitigated disaster: the BX 4TC. Nothing looks like the 4TC; it’s a car straight out of the pages of a vintage sci fi graphic novel. Visually striking, it’s also extremely polarizing: either you love the thing or you hate it. Both on the inside and out, the 4TC shared quite a bit with the “Sport” trim BX. The dashboard however was different, looking like something straight out of a fighter jet, a tight chaotic cluster of gauges and lights. Like the 205 T16, the 4TC was also a Heuliez creation. Citroen sent out the BX, a sales success model for the company, to get ready for rallying in 1986. However, this was precisely the year in which Group B got banned so the 4TC had an incredibly short career, being a feature in only 3 rallies. In those few events, it was also not very successful with a 6th place being the best position it ever achieved. Mechanically the BX 4TC was pretty standard stuff, a turbocharged 4 cylinder coupled with a 5 speed manual gearbox out of an SM, because why not? Despite the mid engine layout being a proven advantage, Citroen decided to do it its own way, because of reasons, and have the engine mounted longitudinally and mainly hanging in front of the front axle. Again, because of reasons. This meant giving the BX a hell of a nose job, making it considerably longer than the one on the production car. Besides, since there still wasn’t enough room, the radiator found its way on to the back of the car which had to be fitted with considerably large air intakes. 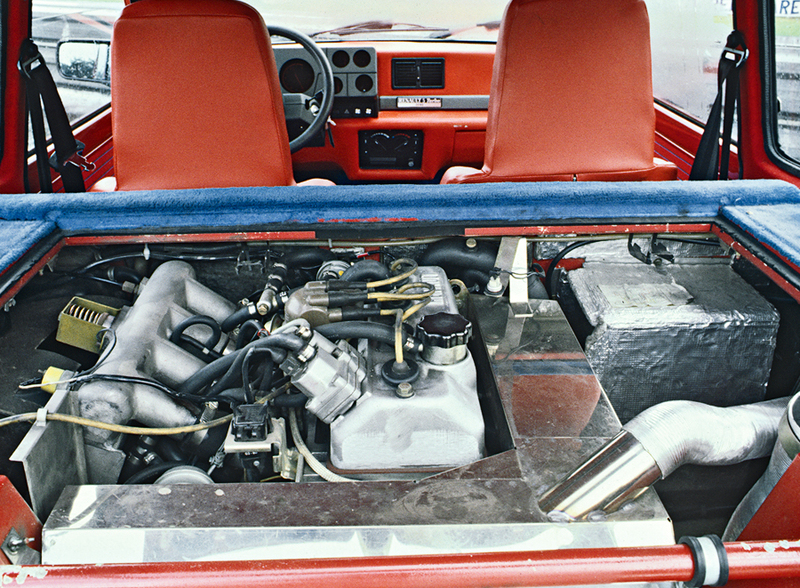 Far from being something new and efficient, the Simca Type 180 engine was already a relic from the 1970’s, making it a strange addition to the already bizarre 4TC concoction. These decisions were all particularly odd since Citroen was at this point already under PSA control, so Peugeot was effectively its parent company. Like the T16, the 4TC was about 200hp with a top speed close to 140 mph, but its performance on the stages was significantly less dazzling. Not only was it technically outdated in comparison with the competition, but it was also heavier and had worse handling, suffering from massive amounts of unpredictable understeering. Citroen only managed to make 62 homologation special 4TCs. However, the company tried to get them done so quickly and cheaply that they became parts bin specials plagued with quality issues. Because of the Group B disappointment and the mechanical issues, Citroen went into damage control mode and started buying back as many 4TC as it could in order to destroy them. The company didn’t wanna get stuck providing assistance to a handful of complicated, custom cars so this was the cheapest, most logical option. Plus, the PR angle was also unflattering and the BX 4TC became the mistake Citroen would gladly pay to bury. This tragedy means that today the 4TC is an incredibly rare car, nowhere near the price of a 205 T16 for obvious reasons, but still valuable and desirable. You can never underestimate the underdog/oddball factor. And we’ll say it again: the looks of the thing…the amazing, bizarre looks alone are worth the price tag. That price tag however varies a whole lot as it’s usually the case with anything obscure that rarely pops up for sale. Usually, in an auction setting, they can get disastrous results on the no reserve style procedure or pretty good money…there really is no sure way to tell. A couple of examples; the one pictured here in white was sold by Artcurial last year and fetched 62.000€, but it belonged to Franco Sbarro so there’s something to be said about that factor. The stunning and well known only black BX 4TC, hand built by students of the Lycée Professionnel de Niort, was also sold by Artcurial back in 2012 for a little over 30.000€, but has since had some cosmetic (at least) restoration done, being sold again this year in Holland for an undisclosed amount. It would be fair to say that, if one happens to pop up for sale, you’d be paying something around the 50.000 mark, not bad for a homologation special, even one full of…quirks.